Today's post is a song post about the 5 W's: Who, What, When, Where and Why. Many students learn these words as words that ask questions. These words are also focused on when teachers are working with students to increase their reading comprehension. Language Arts is a subject area where I sometimes find it hard to write songs to help teach different concepts. I decided to focus more on this subject this year and try to write more songs to help teachers and therapists help their students learn. I have been singing this song with many classrooms this past month and I warn you---it's catchy! Several teachers and teaching assistants commented that they catch themselves singing this song in their car, while cooking dinner, while in line at the grocery store, etc.. Once you hear it, it's hard to get it out of your head! The students have also been loving this one. They love anything with a beat! We've been holding up 5 fingers, counting the 5 W's along with the song and singing each word as well (who, what, when, where, why). 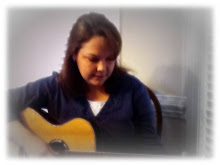 Today I'm sharing a song that I heard via another blog (http://kidzorg.blogspot.com). When I listened to this song, I thought the lyrics were so appropriate for any parent, teacher, music therapist,etc.. who works with people with disabilities. In spite of the many limitations and disabilities these individuals have, they are truly "one in a million" and inspire us everyday. How have I never heard this song until today? School has been in full swing for several weeks now and I'm finally carving out some time to post on More with Music! Today I'm posting my song for the month of September. I use a song of the month song as part of my group music therapy sessions in many classrooms. I design visuals to go along with each song and incorporate Boardmaker pictures to provide a visual for each holiday, season, special day, etc.. The students are always eager to see what each new month will bring! For the September song, I included the number of the month (this helps tremendously when teaching students to write the date in numbers, such as 09/01/13), Labor Day, and the change of seasons from summer to fall.